The most economically advantageous tender evaluated. A high understanding of the contract management requirements over the four years contract term. An ability to manage fluctuations in workloads. A commitment to customer service and the frameworks initiative driven by the contracts Key Performance Indicators. Solid references to evidence that the organisation currently delivers similar works to a high standard. Out of the seven successful companies Voase Builders ranked second overall, a complement to our team of hard working employees. 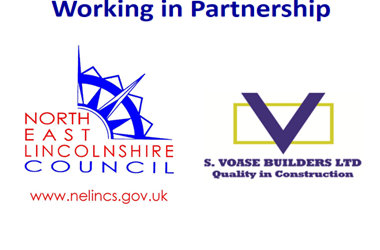 We look forward to collaborative working with NE Lincolnshire Council and developing new and existing relationships with the local supply chain and community in Lincolnshire.